We’re proud to offer products that support a healthy lifestyle…like our products made with lower sodium, 100% natural sea salt. By replacing regular table salt with lower sodium sea salt, Furmano's reduced the sodium content by 50% or more, while keeping the same great taste. Delicious and healthier for you, sea salt is also a natural source of potassium and magnesium and is easier to metabolize than regular table salt. If you are looking for help establishing a healthy lifestyle, be sure to visit www.choosemyplate.gov. MyPlate gives you tools to create your own menu, healthy lifestyle tips and more. Tomatoes are a nutrient-dense super food, providing more than just basic nutrition. Some say tomatoes are vegetables and some say they are fruits. We say either way tomatoes are really good for you!! Tomatoes are a nutrient-dense super food, providing more than just basic nutrition. Tomatoes aid in the prevention of chronic disease and deliver other health benefits because of helpful phytochemicals such as lycopene, which has been linked with prostate cancer prevention in several studies. Tomatoes account for 80% of lycopene consumption. Tomatoes are a rich source of vitamins A, C and folic acid. They contain a wide array of beneficial nutrients and antioxidants, including alpha-lipoic acid, lycopene, choline, folic acid, beta-carotene and lutein. Tomatoes are believed to offer health benefits including lowering the risk of heart disease, diabetes and cancer. Furmano’s supports and promotes a healthy lifestyle based on proper nutrition. The basic formula for healthy eating is simple: make half your plate fruits and vegetables. A great resource for eating healthy is www.choosemyplate.gov. This website indicates that tomatoes are classified in the red and orange vegetable group according to the USDA. 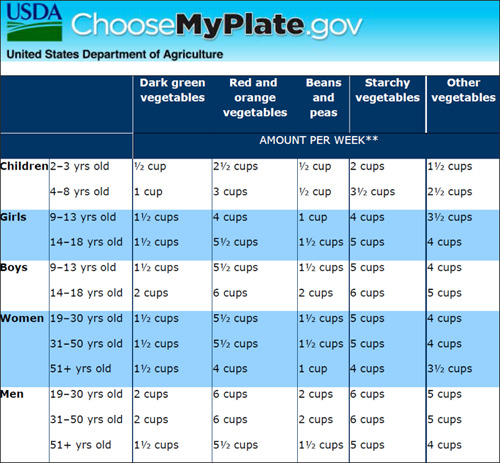 The chart below shows the recommended amount of red/orange vegetables per week for healthy eating. The average adult should eat about 5 1/2 cups of red/orange vegetables a week – that’s about ¾ cup a day. Refer to the chart to find the vegetable portions you should eat per week based on age and gender. Furmano’s tomatoes can help you meet your healthy eating goal each day. 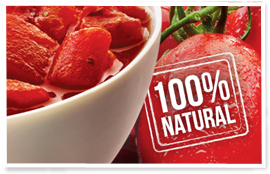 Furmano's tomato products are made with lower sodium 100% Natural Sea Salt, making our products healthier for you, while keeping the same great taste. Q. Why has Furmano's chosen to use sea salt? A. Furmano's is concerned about your health and sodium continues to be an important issue with consumers. 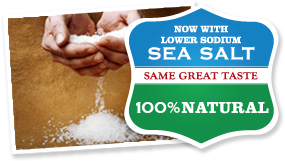 Using 100% natural, lower sodium sea salt, the sodium content of our finished product can be reduced by 50% or more. Furmano's has reformulated its products to use lower sodium 100% natural sea salt, while keeping the same great taste you've always enjoyed. As an example: our 28 oz. Diced Tomatoes contains 270mg of sodium per serving when made with regular table salt. Sodium is reduced to 125mg when made with lower sodium sea salt. Q. What is Sea Salt? A. Sea salt is harvested from seawater through evaporation. It's more natural than table salt, and is available in several different varieties. Furmano's chose to use a lower sodium 100% natural sea salt. It contains the minerals potassium and magnesium which aren't found in regular table salt. Plus, it's easier to metabolize and is 100% natural and healthy for you. A. The compound known as "salt" contains two minerals: sodium and chloride. It's only the "sodium" component that sometimes creates problems. For all the bad press that sodium receives, it's important to realize that sodium is an essential nutrient, not only to life, but to good health. It helps to maintain blood volume, regulate the balance of water in the cells, and transmit nerve impulses. Q. Why should I be concerned about Sodium? A. Sodium helps maintain blood volume, but too much causes the blood to retain fluid. The increased blood volume then calls on the heart to work harder to circulate blood to all the tissues in the body and increases blood pressure, also known as hypertension. Elevated blood pressure increases the risk for heart disease and stroke. All Furmano Foods products are Naturally Free of Gluten. Learn more about gluten and gluten free recipes. 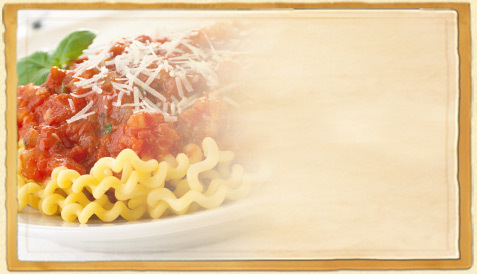 All Furmano Foods products are Naturally Free of Gluten. Right now, there is not an FDA regulation defining or governing the use of the term “gluten-free.” Under a proposed rule, expected in August 2008, “FDA defines ‘gluten’ as proteins that occur naturally in a “prohibited grain” and that may cause adverse health effects in those with celiac disease.” Prohibited grains are those originating from wheat, rye, barley and crossbred hybrids of them. 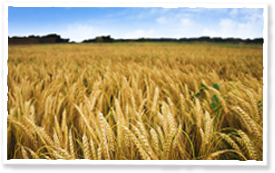 A. Gluten is a Protein found naturally in wheat, rye and barley; including all products using wheat, rye and barley in their formulation. Gluten is responsible for the elasticity of kneaded dough and the ‘chewiness’ of baked products. Q. Why should I be concerned? A. Most people have nothing to be concerned about, however there is a percentage of the population that suffer from Gluten intolerance (the inability of the body to digest or break down gluten). The condition can range from a mild sensitivity to gluten to full-blown celiac disease. In celiac disease, the body produces antibodies to attack the gluten; those antibodies also attack and damage the lining of the small intestine, resulting in immediate gastrointestinal symptoms. Left untreated, celiac disease and gluten intolerance can lead to serious, long-term problems associated with nutrient loss and related deficiency diseases. Mix all dry ingredients – rice flour, potato starch, sugar, guar gum, yeast, sea salt and oregano. In an electric mixer bowl, combine water, vinegar and oil. Slowly add dry ingredients. Beat at medium speed for 3 minutes. Shape onto pizza pan. Bake in a 400-degree oven for 10 minutes. Place prebaked crust on a baking sheet. Spread with Furmano’s Original Pizza Sauce; top with cheese and bake for 10 to 15 minutes at 375 degrees. Furmano’s beans provide a valuable source of Dietary Fiber. Learn more. Furmano’s beans provide a valuable source of Dietary Fiber. Canned Tomato products are not recognized as a substantial source of fiber although they do offer between one and two grams per serving.There are no FDA regulations or USDA policies for fiber labeling terms. However, for shelf labeling the FDA uses the following guidelines from the "Grocery Store Shelf Labeling" program. If a food contains at least 2 grams of dietary fiber per serving, it can be called a "source of dietary fiber." If a food contains at least 5 grams of dietary fiber per serving, it can be called a "good source of dietary fiber." If a food contains at least 8 grams of dietary fiber per serving, it can be called an "excellent source of dietary fiber." Q. What is Dietary Fiber? A. Dietary Fiber – also known as roughage or bulk – includes all parts of plant foods that your body can’t digest or absorb. Fiber is often classified into two categories: those that don’t dissolve in water (insoluble fiber) and those that do (soluble fiber). Insoluble Fiber. This type of fiber increases the movement of material through your digestive system and increases stool bulk. Whole-wheat flour, wheat bran, nuts and many vegetables are good sources of insoluble fiber. Soluble Fiber. This type of fiber dissolves in water to form a gel-like material. It can help lower blood cholesterol and glucose levels. You can find generous quantities of soluble fiber in oats, peas, beans, apples, citrus fruit, carrots and barley. A. A high-fiber diet may lower your risk of specific disorders, such as hemorrhoids, irritable bowel syndrome and the development of small pouches in your colon (diverticular disease). Fiber – particularly soluble fiber – can also lower blood cholesterol levels and slow the absorption of sugar, which for people with diabetes, can help improve blood sugar levels. Eating a high-fiber diet may also help with weight loss. So what does it mean to be 100% natural? There’s a lot of talk and questions about what is natural. There are no clear answers. Although the FDA has not developed a definition for the term natural, it states that the word can be used for a product that does not contain added color, artificial flavors or synthetic substances. 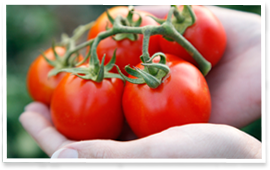 Furmano’s tomato products come from red, vine-ripened tomatoes that are preserved within hours of harvesting, capturing their nutrients, color and flavor at the peak of freshness. We’ve developed a guideline for all our products that are labeled 100% natural. Our guideline is that the product does not contain any added color, artificial flavors, synthetic substances or artificial preservatives. We’ve also gone the extra step and removed high fructose corn syrup from the few items that contained it and replaced it with 100% natural sugar. In addition, we have certificates from our ingredient and spice suppliers to certify that our ingredients are natural. 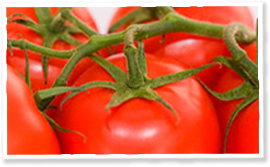 Our basic tomato items also meet clean label guidelines. Furmano Foods products are specifically formulated to avoid the use of common food allergens. What are Food Allergies? Learn more here. 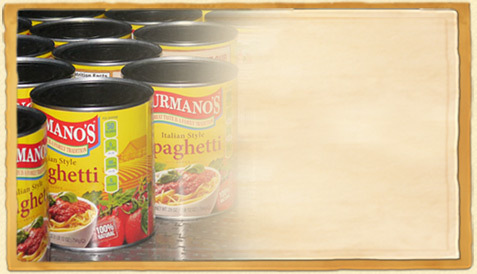 Furmano Foods products are specifically formulated to avoid the use of common food allergens. Since food allergies may extend beyond the FDA’s recognized eight primary categories, we suggest that you carefully read all product labels. Q. What is a Food Allergy? A. A food allergy is an immune system response to a food that the body mistakenly detects as harmful and creates specific antibodies to it. After eating such foods, the immune system releases massive amounts of chemicals, including histamine, in order to protect the body. These chemicals trigger a cascade of allergic symptoms that can affect the respiratory system, gastrointestinal tract, skin, or cardiovascular system. Q. What is the difference between Food Allergy and Food Intolerance? A. There is a difference between food allergy and food intolerance. Food allergies affect the immune system whereas food intolerance affects the hormonal balance of the body. Symptoms of food intolerance usually include, but are not limited to, diarrhea, gas and nausea. Reactions to food allergies include skin rashes, belly cramps, blood pressure decrease, swelling, vomiting, diarrhea, watery eyes, asthma attacks and respiratory difficulties. Allergic episodes can even be fatal as a result of anaphylactic shock. 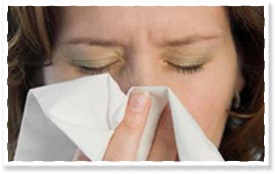 Unfortunately, the only way to avoid suffering from allergic reactions is to avoid them altogether. Remember, allergies can develop any time during your life. If you already have known allergies, remember to carry some sort of medical card giving instructions just in case.